The France international has been widely tipped to make away from Les Parisiens during the current transfer window after his mother and agent confirmed that he would not be signing a fresh deal beyond next summer. Amidst this, Spurs have been one among the prime clubs linked with the highly-rated midfielder but it appears that their pursuit has ended in vain with the Frenchman not keen on joining them, ESPN reports. 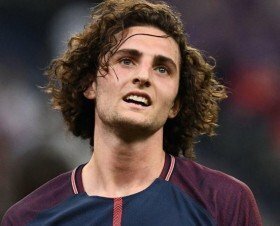 Rabiot has been the subject of extended speculation over the past few months and of late, he was alleged to have finalised terms with Barcelona before the Spanish club came forward to deny any agreement. Still, the Catalan giants have confirmed that they hold an interest in the midfield enforcer and they could make an approach of their own in the forthcoming days.